July 21st is but 8 weeks away & preparations for the final Summer Ball on the Regatta Lawns are well underway with ticket sales in excess of 210 and on the way to our target of 250. 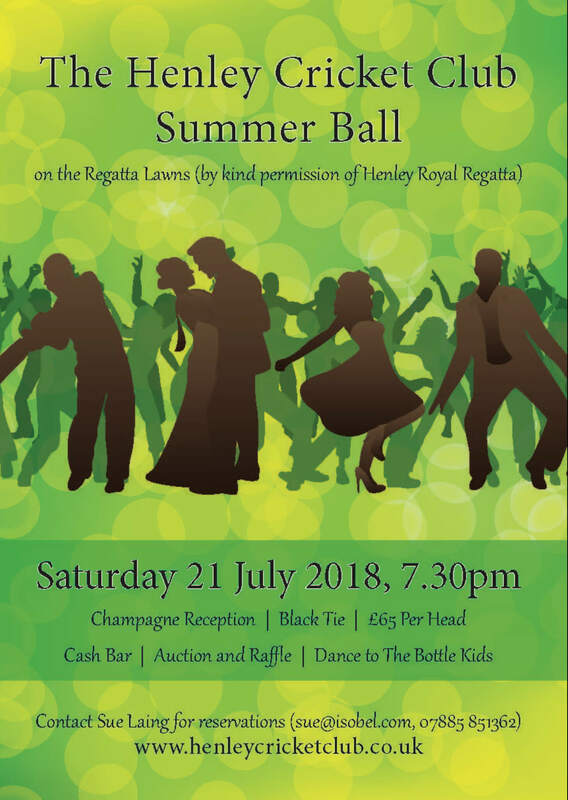 So, if you’re yet to commit to the event, time is running out and an urgent Call, E-Mail or Text to either David Winter or Sue Laing is highly recommended, if you don’t want to miss out on what will undoubtedly be Henley’s premier event this summer (apologies Regatta + Festival)! With a very successful Quiz Night earlier in the year, and the Golf Day in May, we have made an excellent start to the task of raising the final £20k required to finally pay off our loan to the Town Council, at which point, our beautiful ground will be ours. To ensure this happens, we really need to reach our ticket target of 250 and to help bolster the bottom line, we’ve been securing sponsorship for the evening’s various ‘on-costs’, from waiting staff at £50 each to the band at £750. However, there are still a number of attractive sponsorship opportunities remaining which are shown at the bottom of the article and we’d ask that you let David Winter or Sue Laing know if you’re interested or know somebody who might be. Each sponsor will be acknowledged in the ball literature and will receive our very grateful thanks. The 2018 ball will be the 14th and we plan to make it the best ever, with the traditional champagne and canapé reception, superb two-course dinner by Emily Rait, live music by the Bottle Kids Band, Live & Silent Auctions, plus a raffle of eclectic proportions, a free photo booth + a caricaturist - A snip at £65pp. So, if you’re yet to make that all important decision to come along, now is the time. We look forward to seeing you on the river bank on July 21st.